With good intention, I sought a room offering silence but this quiet was deafening at times. Studying in the library at college, SFA (Stephen F. Austin State University, Nacogdoches, TX), was too quiet. Every breath, sneeze, tapping pencil, yawn, turned page distracted me. My kids never sat in a completely quiet environment at their traditional school. I mistakenly believed that silence would allow for focused, attentive listening. Instead, it felt isolating, every creaking joint in the house annoying my soul. We don’t even sleep in quiet environments. We all sleep with fans or noise maker apps when we travel. Even in the great outdoors, it’s not silent. Wind ruffles blades of grass, birds chirp, pine cones fall from tree branches, squirrels forage through pine needles for buried treasures. Life’s sounds. Sounds that fill us with energy. Sounds that entice our senses and connect us to the world. We needed background noise. Washing machine spinning. Dishwasher humming. Crock pot heating? Well, you get the idea. Mostly, I needed our home to feel alive, energetic, brimming with sounds while we are learning together. The corner basement room was nearly sound-proof. Truth of the matter, the kids and I are social beings, all fairly extroverted. We each recharge during alone time but derive our energy surrounded by others. Life. Sounds. I searched the house again, this time looking for a room that offered sunlight, shelves, and sounds. The only sensible space was our main floor study but it presented several obstacles. Dark, cherry-wood built-ins too shallow, non-functional. 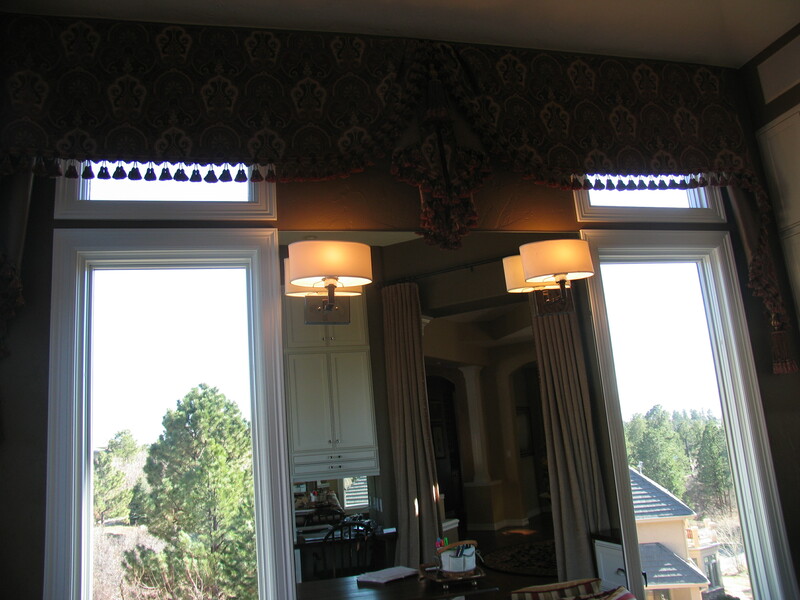 Dark, cherry-wood shutters covering the two walls of windows. Dark, cherry-wood french doors at the entrance to the room. Right off the bat, the room was lacking a sunny disposition. It had shelves but no closed storage and although I don’t want a sterile, quiet space, I do like organized spaces, serene, peaceful. Open storage shelving doesn’t offer those things for me. 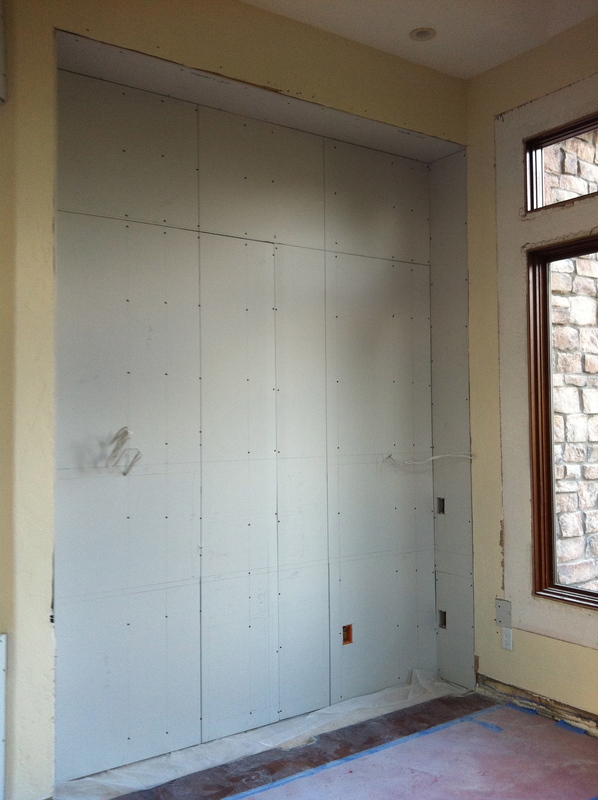 But it was the only room that made sense and the only solution was a full remodel. I drew up my plan for the room, called the contractor, and 60 days later, we met for school in our new learning room, complete with sunlight, closed storage shelving, and sounds. Fortunately, the wall separating the shelving wasn’t load bearing, so I was able to open up the entire width of the space for the future work stations. I also gained about 5″ in depth. 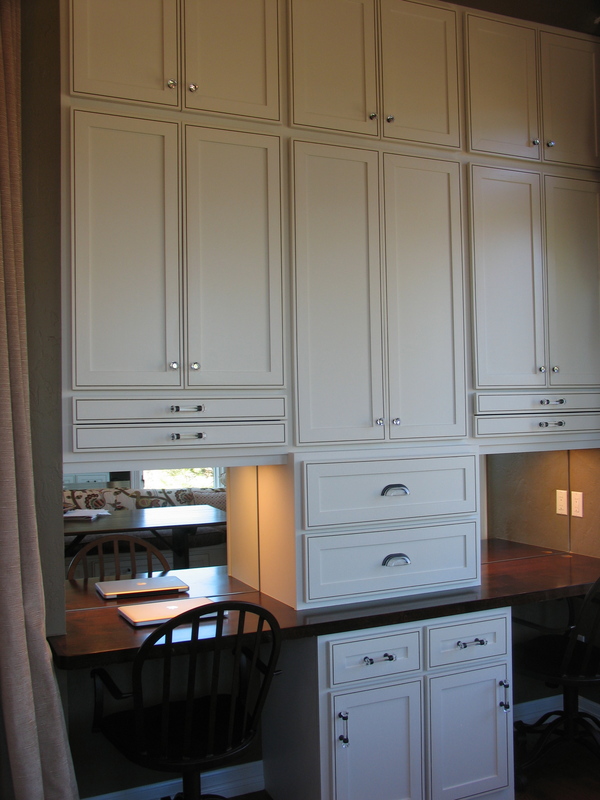 The cabinets were built on-site to meet width and depth specifications. 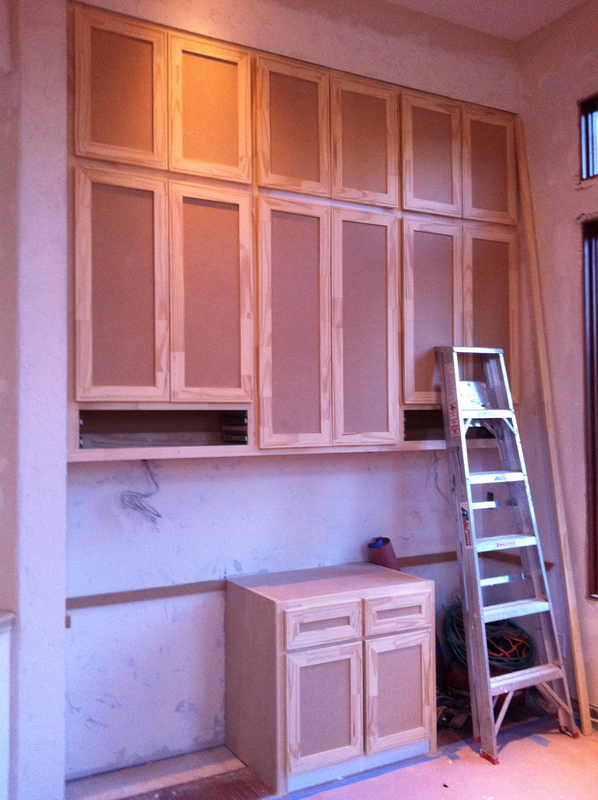 Stock cabinetry wasn’t an option. 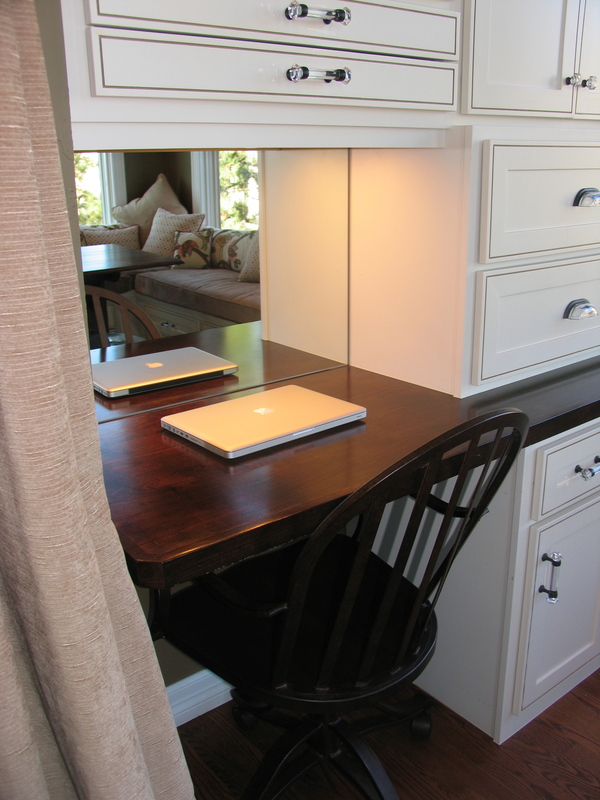 As technology progresses and get smaller, workstations become more efficient. Our wireless printer is centrally located in another part of the house. I was intentional about using closed cabinetry to reduce visual clutter. 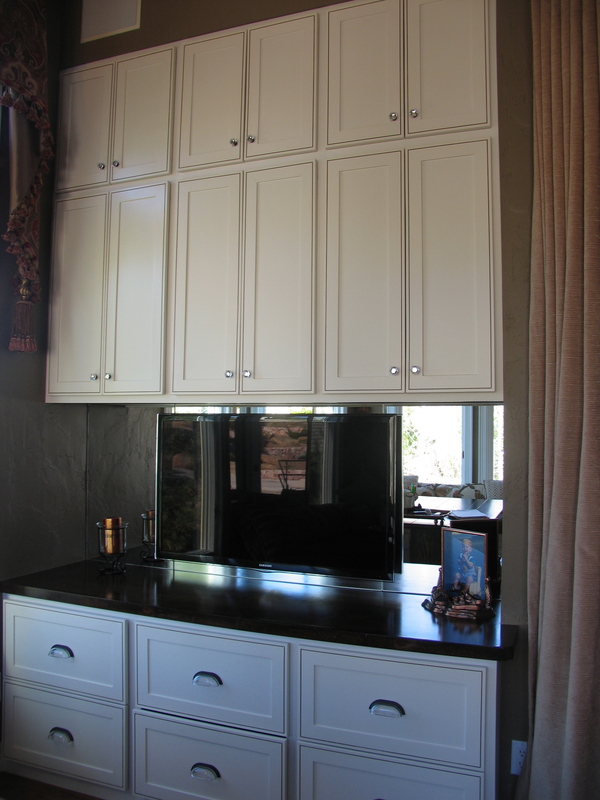 Painting a wall of cabinets creamy white reduces the visual weight in the room. They also show less dust! Colorado weather doesn’t always allow open windows to welcome the sounds of nature so I incorporated mirrored back splash all over the room. They reflect mountain views, indirect light, and no one ever stares at a wall while working on a computer. 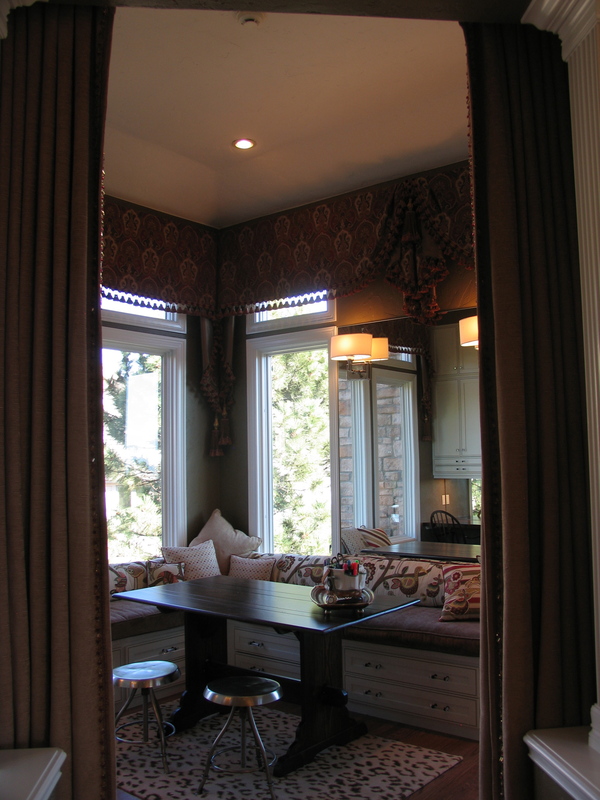 I used mirrors as a back splash at both workstations as well as behind the TV on the adjacent wall to reflect light, nature, and the beautiful fabrics in the room. My overall design plan included a built-in window seat with lots of drawers to keep our current curriculum within reach. My three-ring binder holds our weekly plan, our novels, biographies, math books, recorders and hymns, paper and miscellaneous desk supplies. 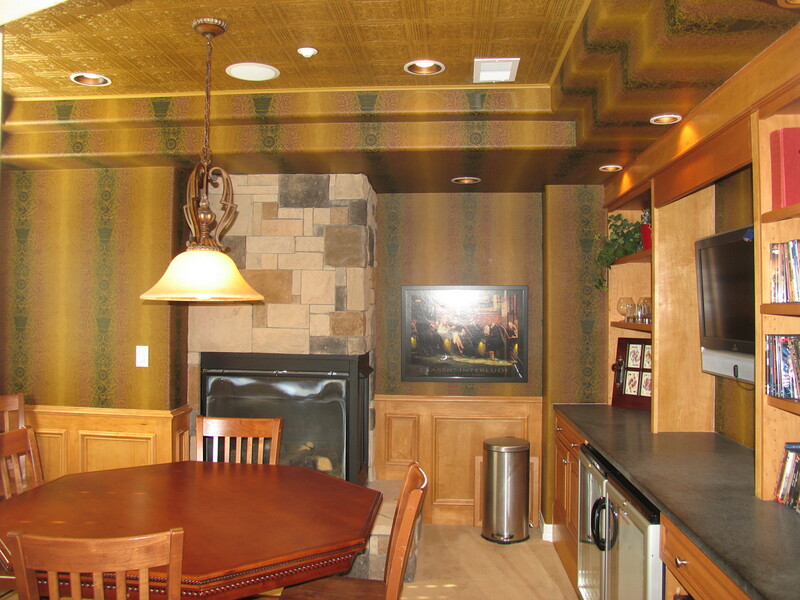 I painted the walls mocha brown to balance all the creamy white cabinetry. The cheetah print rug adds an unexpected whimsical element. In the corner of the window seat lies a special computer port allowing me to connect my computer to our TV monitor for viewing YouTube videos or to display my computer screen to teach internet basics, Word, Excel, PowerPoint, iPhoto, iMovie, or any of the available Apps. I can also connect our iPad2 and use it as a virtual whiteboard for math examples. 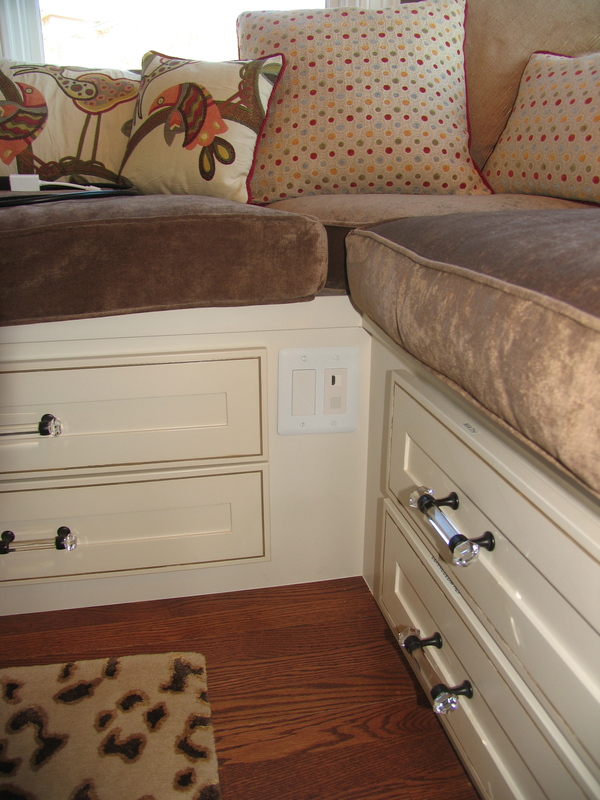 No design plan is complete without functional elements like this HDMI computer port cleverly hidden in the window seat. A pretty room without function doesn’t get used. I designed this corner especially for me. 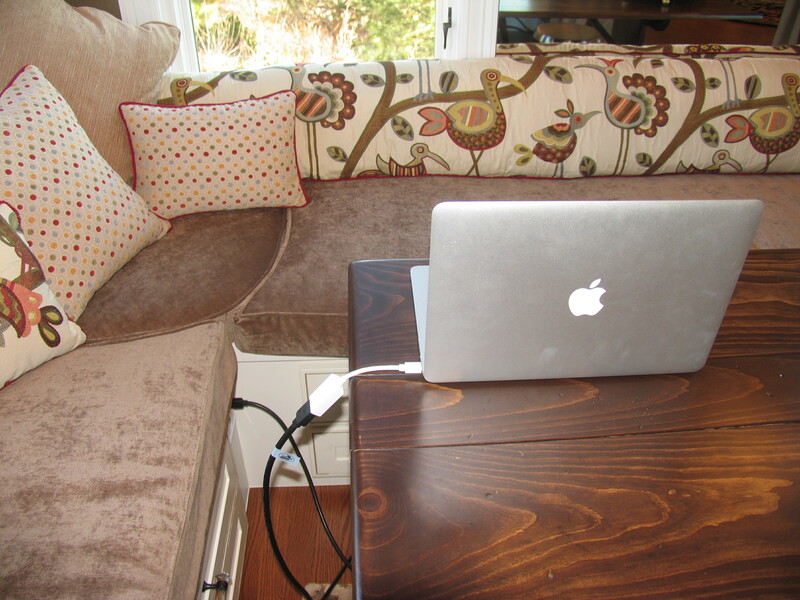 The computer port allows me to display YouTube videos, internet sites, or any file on my computer onto the 27″ TV monitor across the room. With budding trees and chirping birds, it’s nice to open a corner window in the room for fresh air and the relaxing sounds of our fountain. As the seasons change, so do the landscape colors around the fountain. Springtime welcomes red tulips and yellow daffodils. Summertime perennials paint blues and pinks. Fall mums bloom deep orange. Winter-white snow blankets all but the clear, bubbling water. 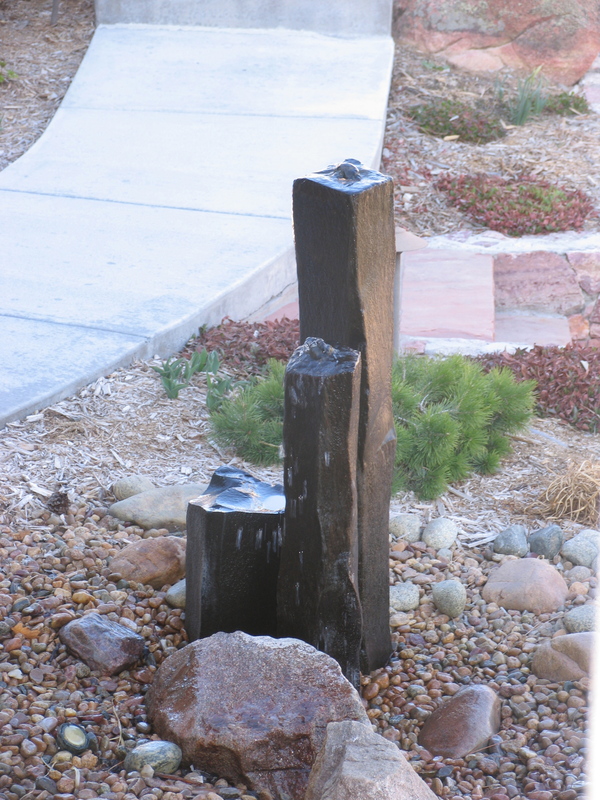 Our front entry fountain not only greets guests, it’s a welcome sight from our learning room. Homeschooling, for us, isn’t about isolation, living in a bubble. It’s about connections. It’s about making time to connect all of our school subjects to the world around us. Birds, flowers, insects, water cycles, animals, geography, explorers, the human body, God’s people, our Creator. If learning doesn’t point us back to God, then we’ve missed the connection. It doesn’t matter which room in the house we meet in each day, we can learn anywhere, just not in silence. Still wanting nature to take precedence, I mirrored behind the TV to give interest even when the TV isn’t in use. I hid the cable box and Blu-ray player in the upper left lateral file drawer. Yes, more mirror. It’s the perfect solution above the window seat. 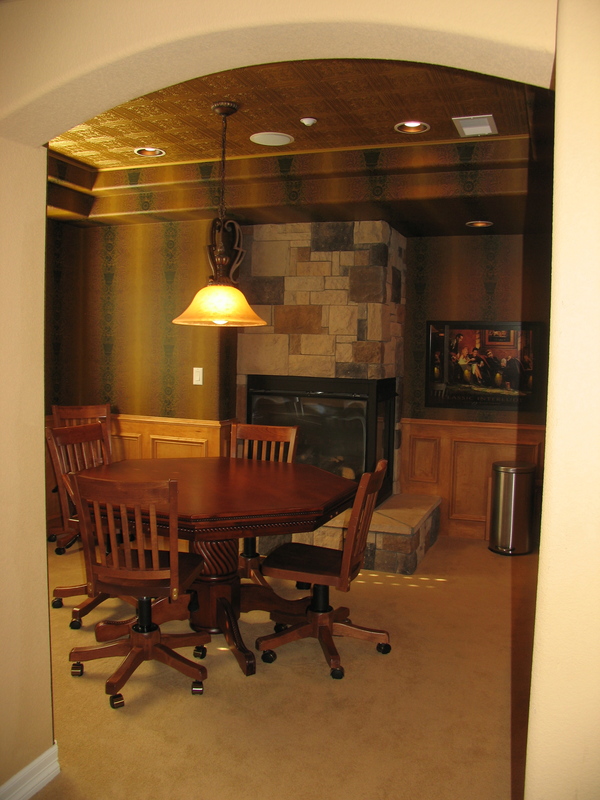 And, from the family room, I can glance in on my students’ at their computer workstations opposite the mirrored wall. 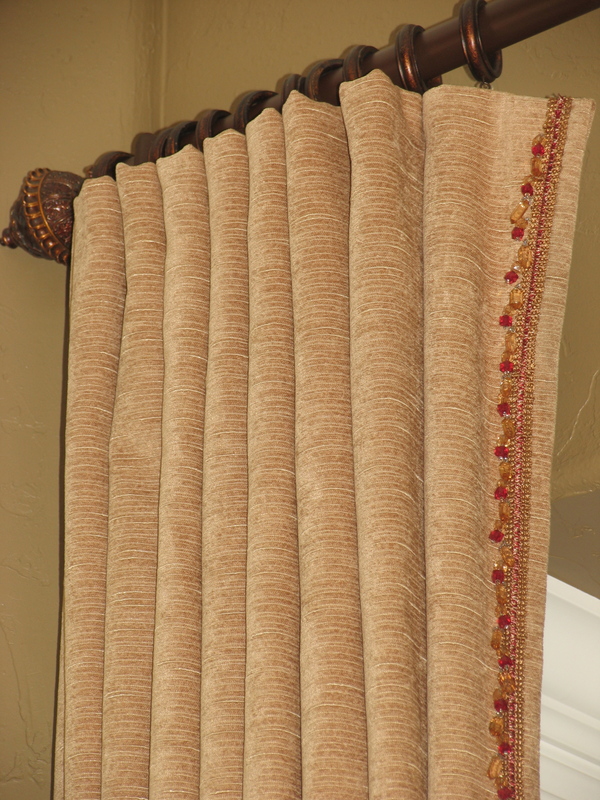 This simple bead fringe detail on the chenille panels provides just enough bling for the teacher. 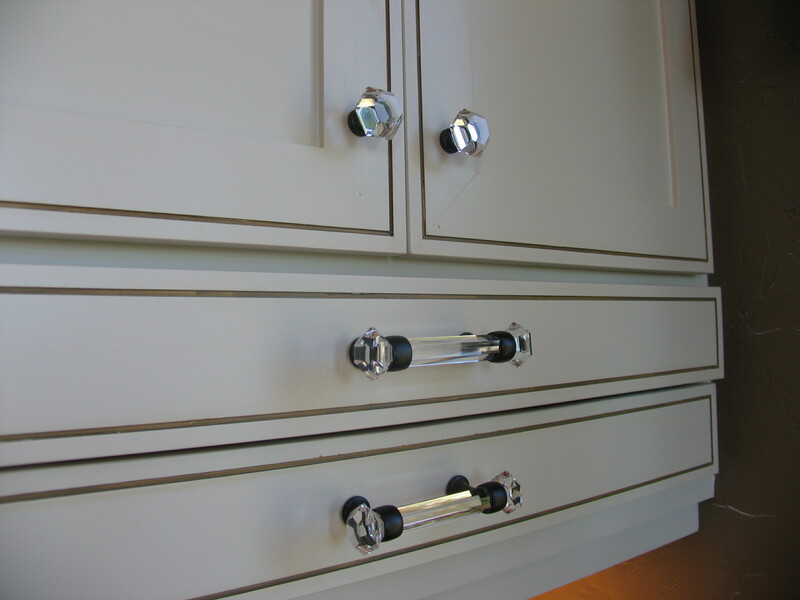 With all the hard surfaces in our newly remodeled schoolroom, I used glass knobs, handles and pulls to offer some whimsy and a feminine touch. My corner. We designed a separate, round corner cushion. 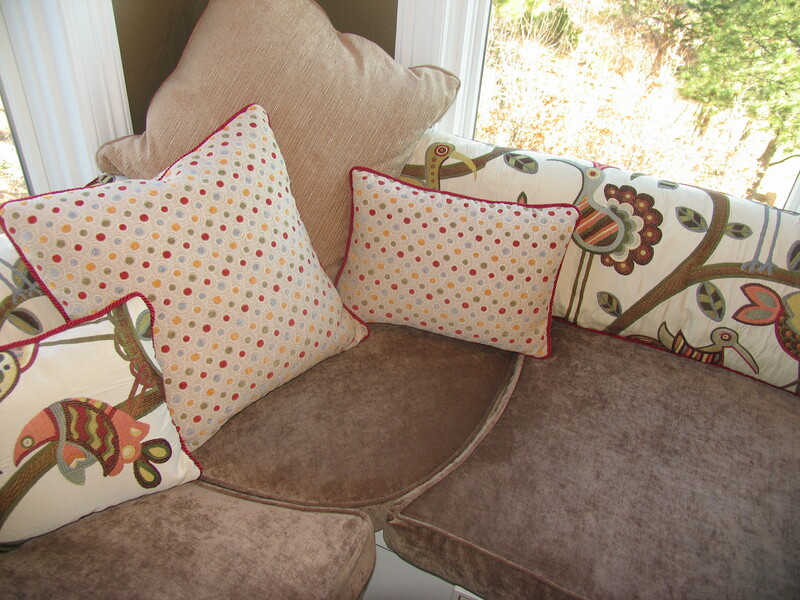 The long, bench cushions snug up to it perfectly. 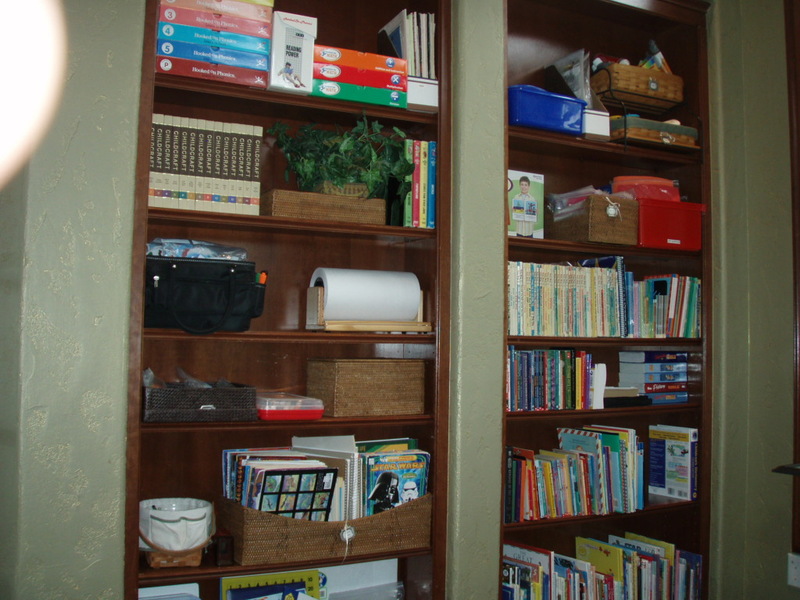 This entry was posted in Home-School, Interior ReDesign, Organization and tagged Adoption, family, home office, homeschool, interior decorating, interior design, Nacogdoches Texas, organize, Stephen F. Austin State University, teaching by Natalie Lewis. Bookmark the permalink. I wanna come learn…. in your learning room. very inviting, comfortable & soothing. Where do I sign up! Very nice Natalie. Wish you were closer to me so you could design my house! Very nice! Sonya, that’s sweet. Thank you! Theresa, thanks for taking the time to read. Glad you enjoyed it. Janine, it’s been several years; forgive me, I know I did an internet search and bought them online but can’t remember the source. So Sorry.